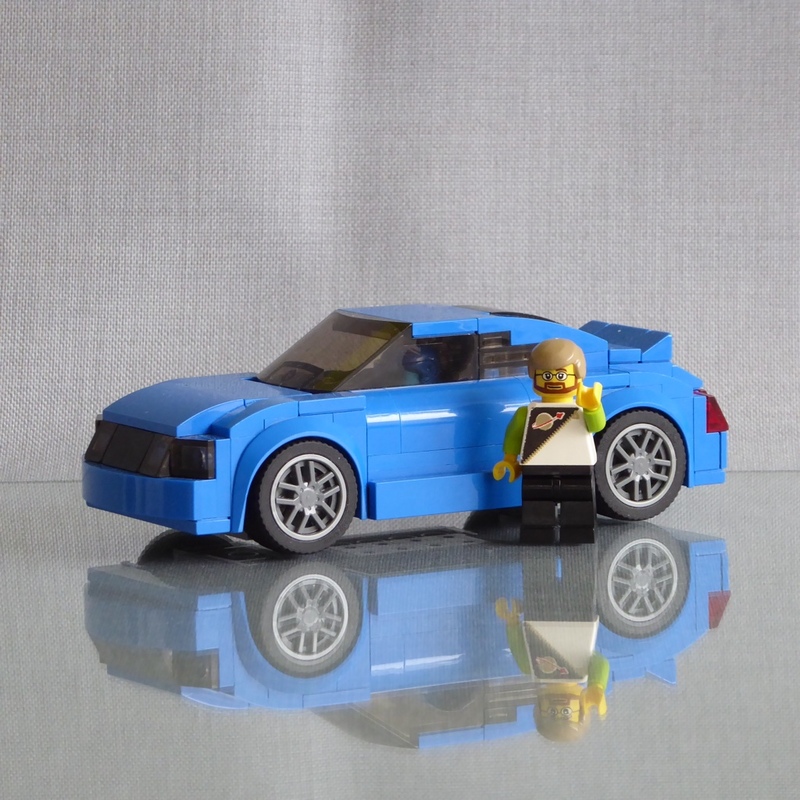 The 75873 Audi R8 LMS Ultra was the first Speed Champions Set that I bought for my son (OK, I bought it for me, too, to get some of the new parts). 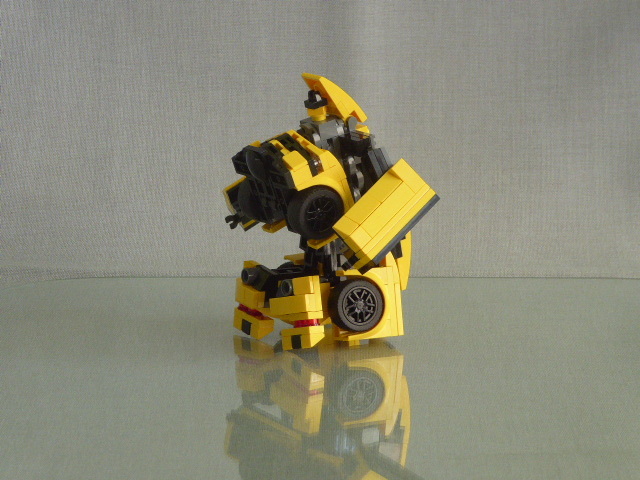 Stickers on Lego Models (as well as on any other thing in our home) don’t last very long because of the special attention my son gives to them (1. pull off, 2. put on again, 3. go to 1. 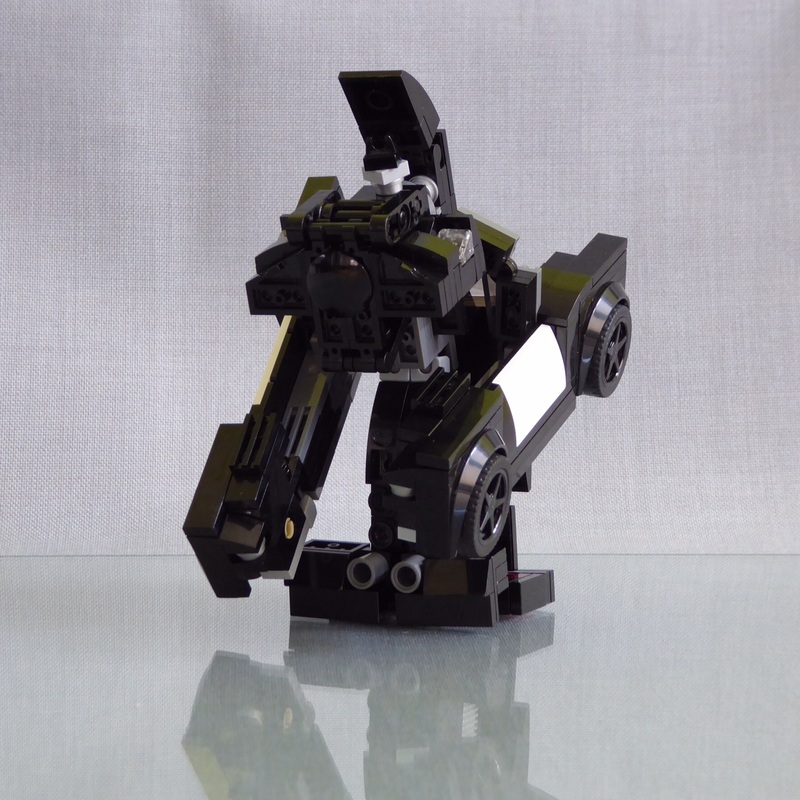 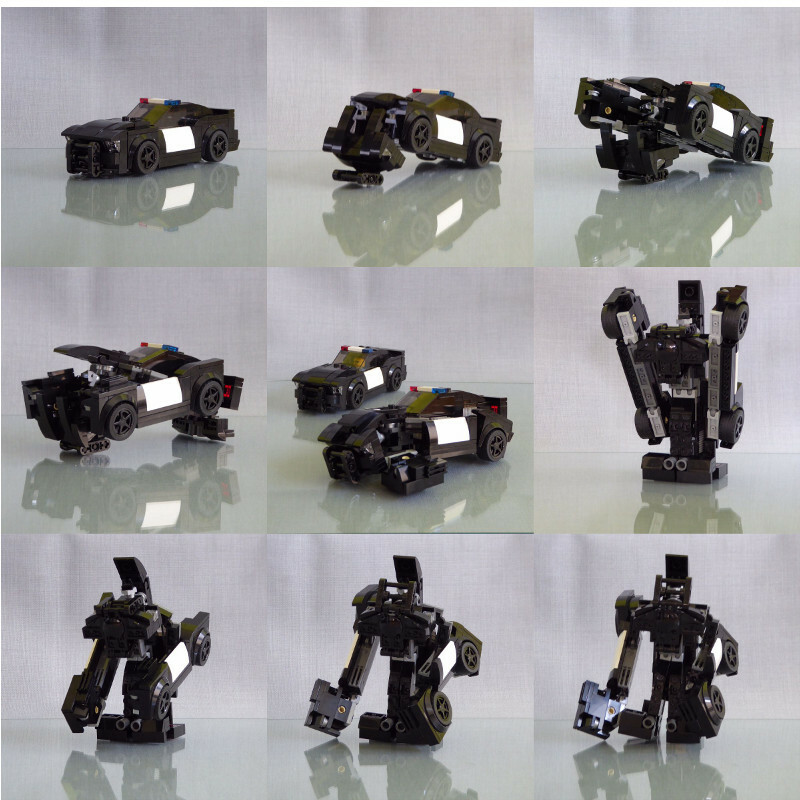 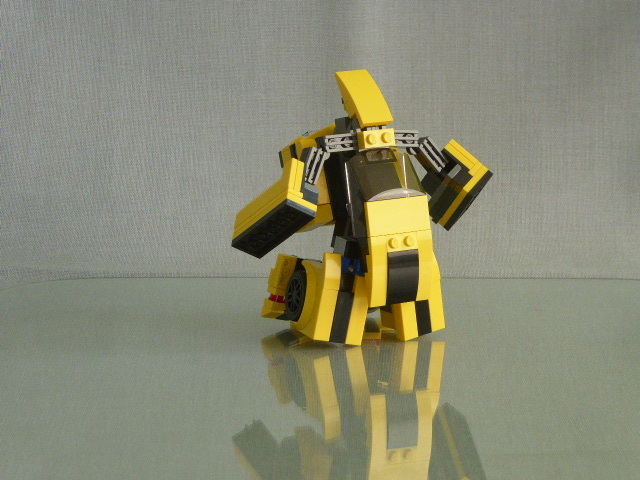 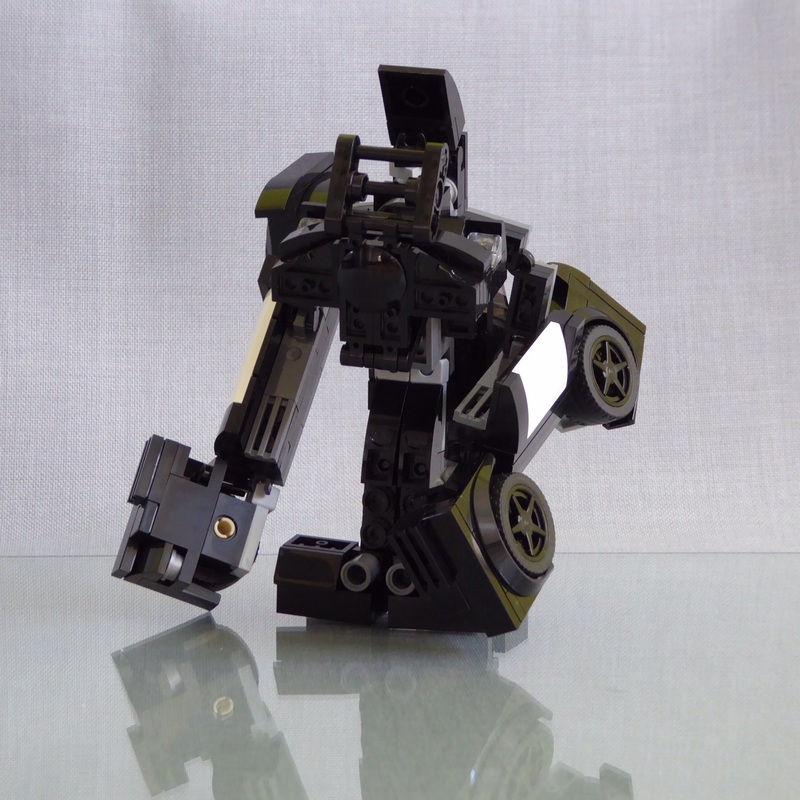 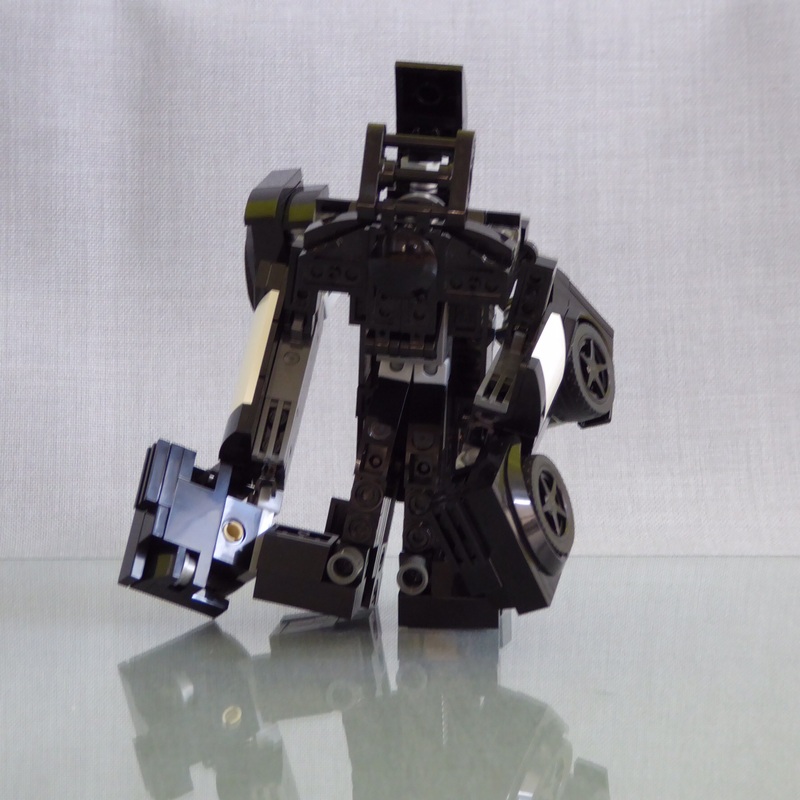 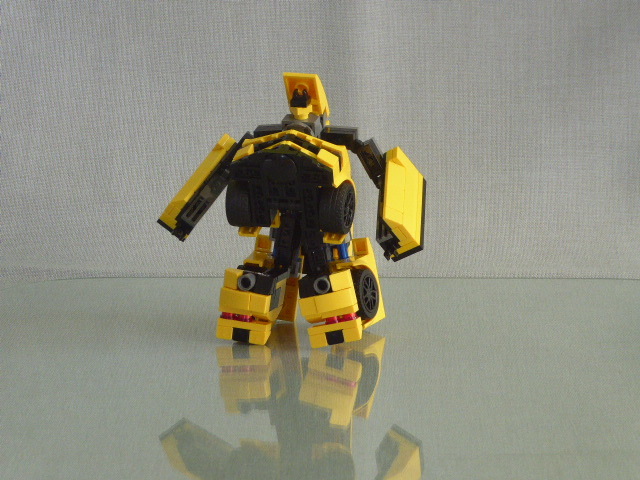 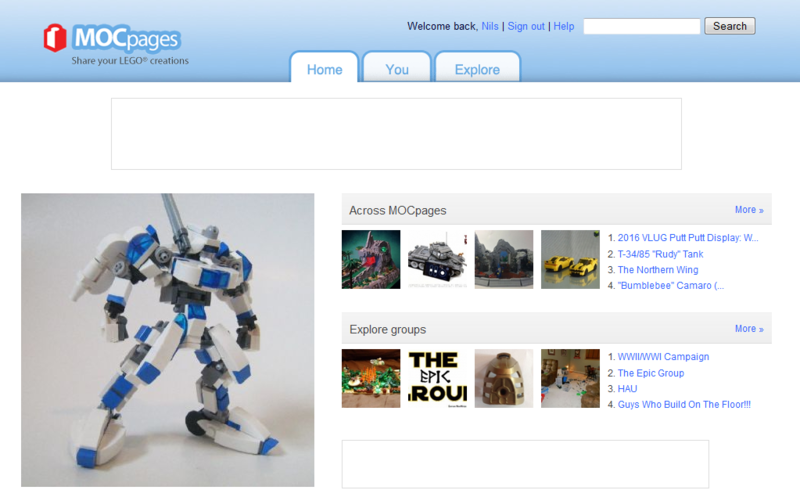 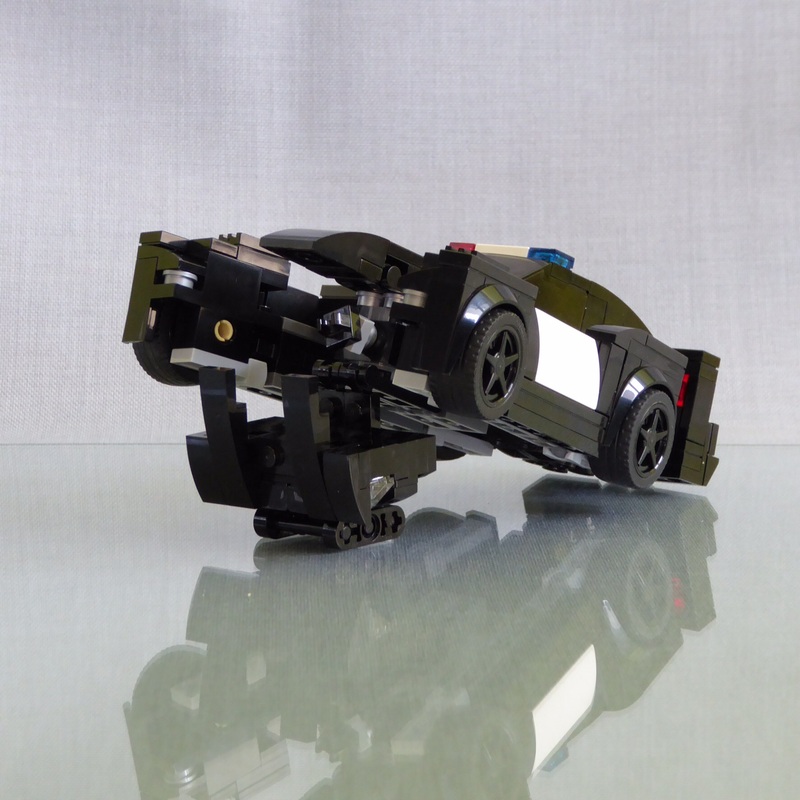 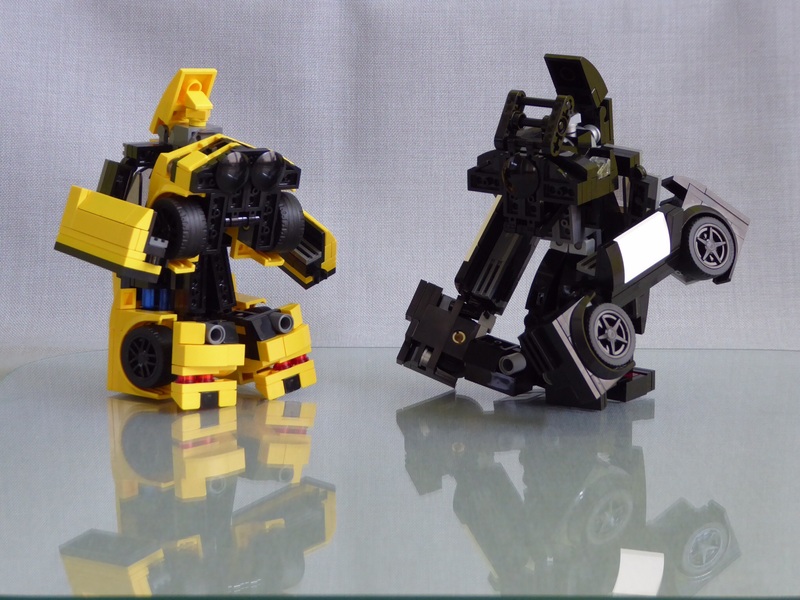 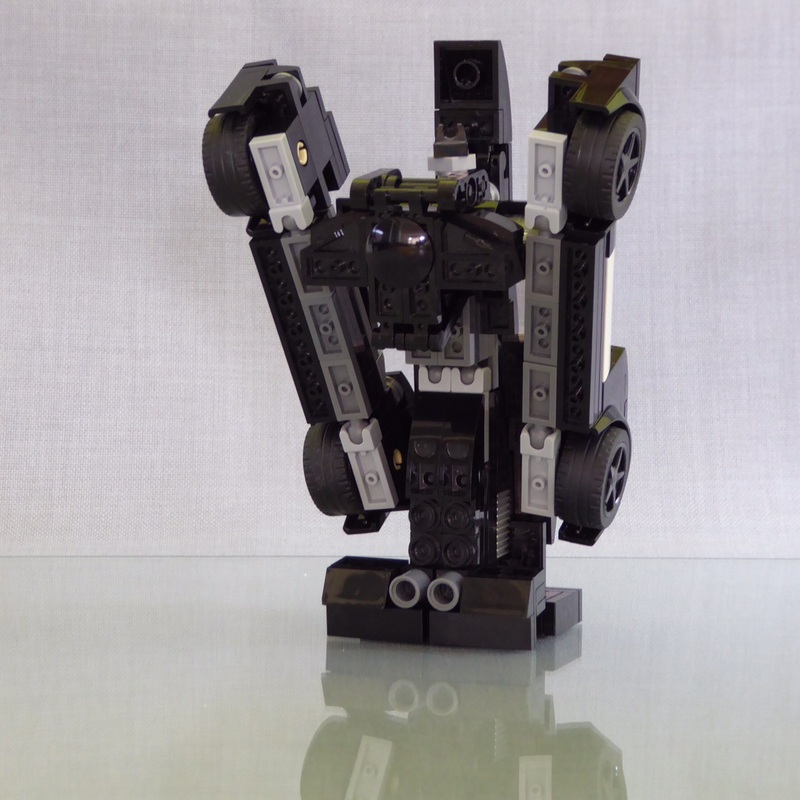 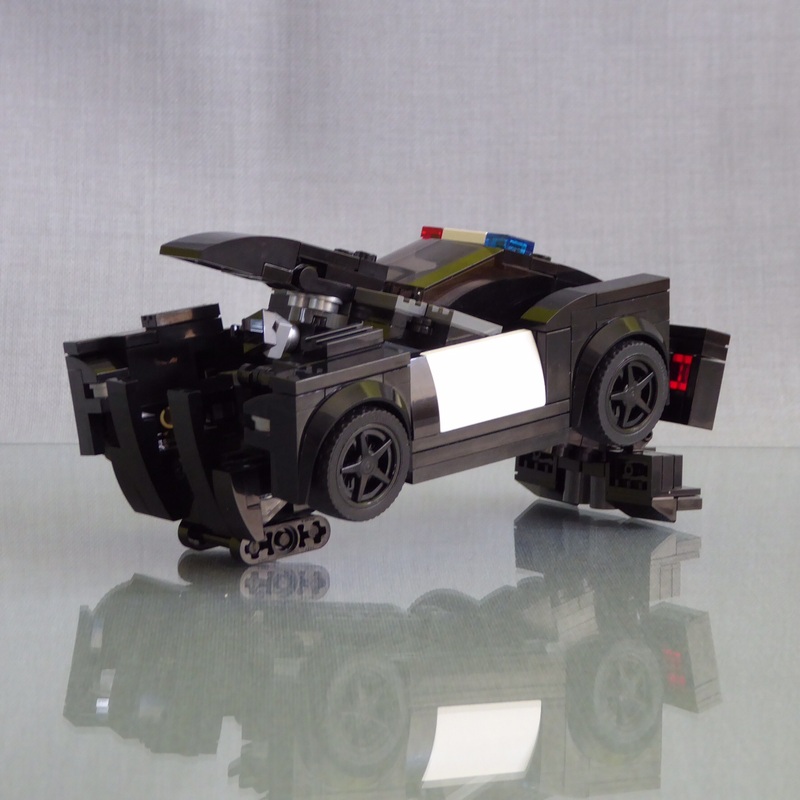 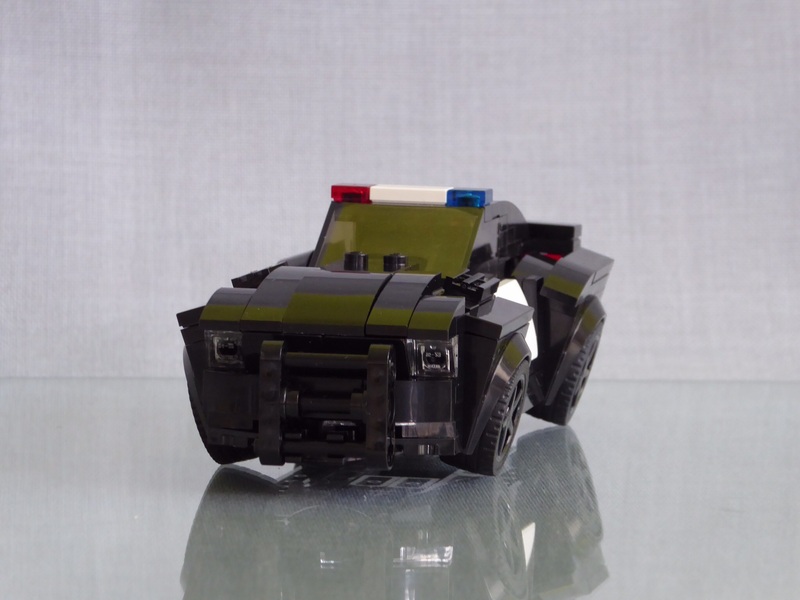 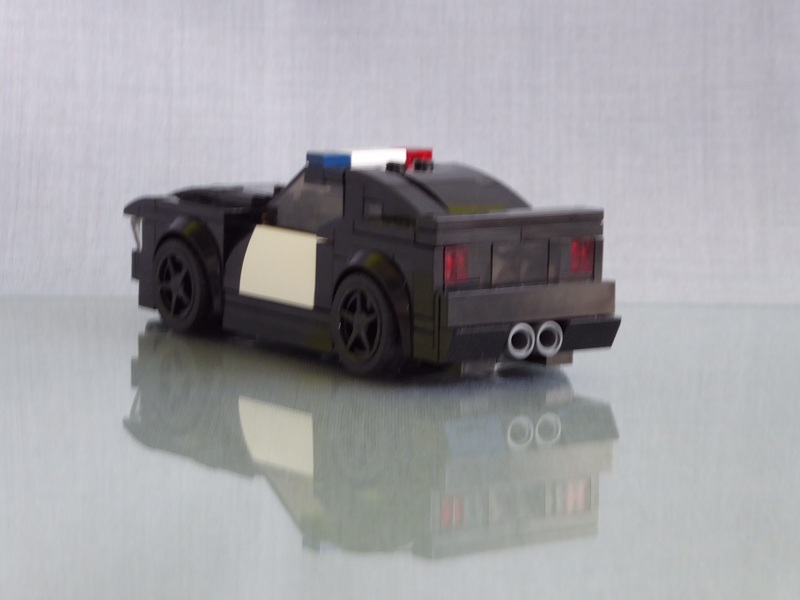 ), so I have to replace them on all Lego models, especially the head and tail lights. 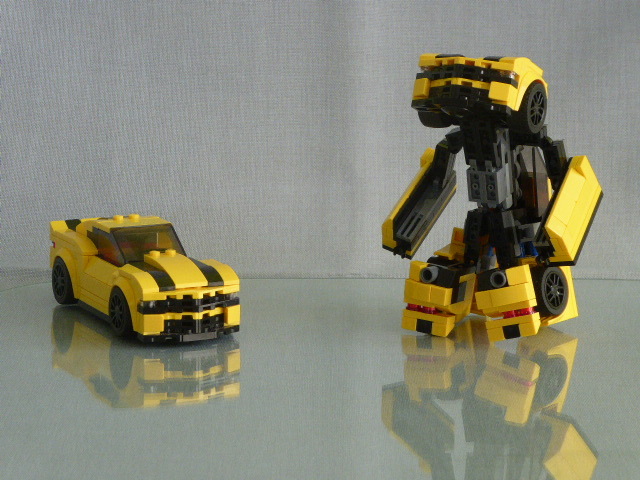 I don’t really like them, so that’s no big deal. 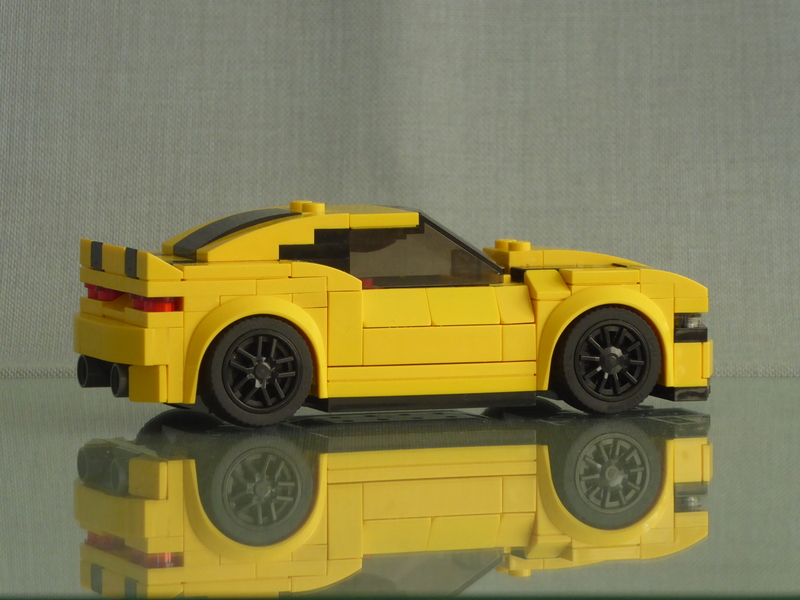 In case of the R8 it led to additional inspiration. 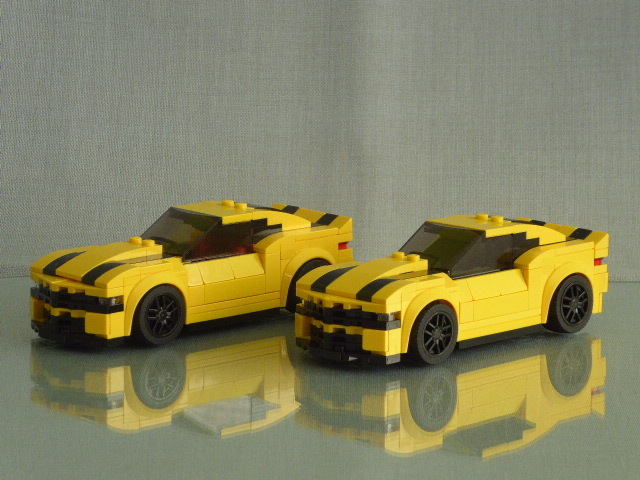 When I modified the front and rear end of the R8 I came to a version that looked more and more like a TT. 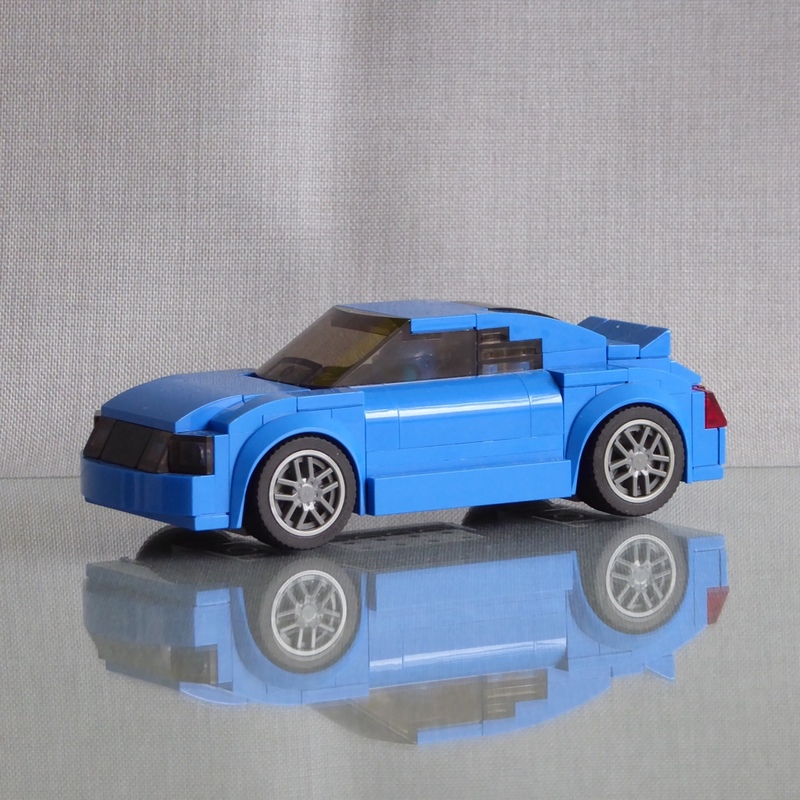 So after building the R8 I was eager to build a TT. 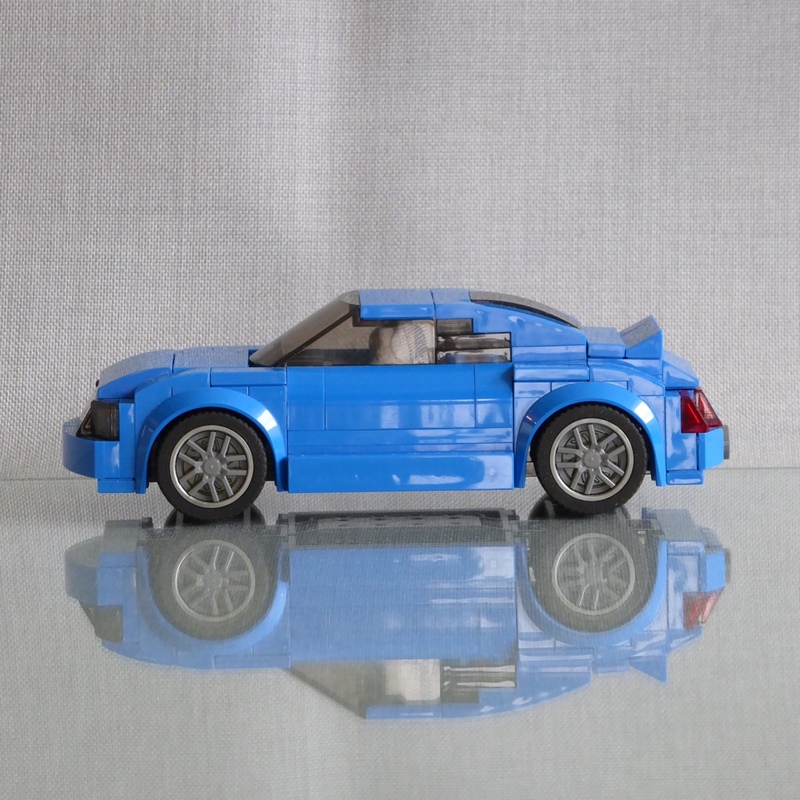 Of course, it had to be blue, just like the one I still have parked in the garage. 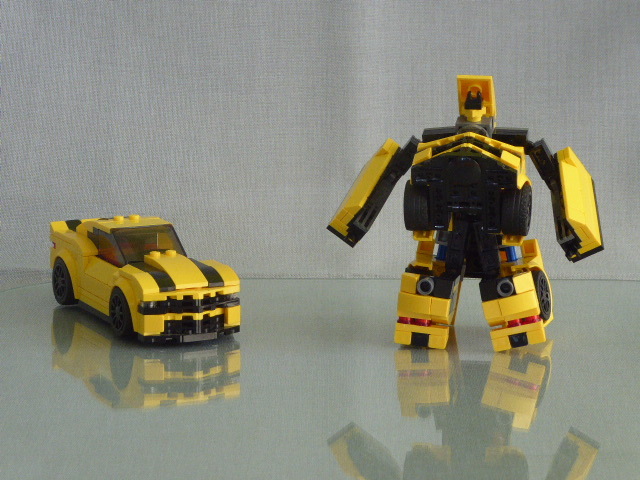 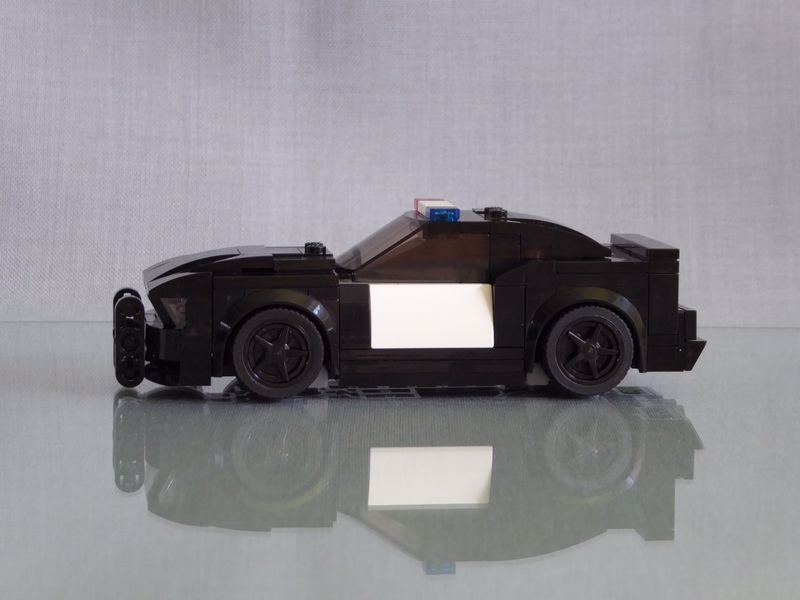 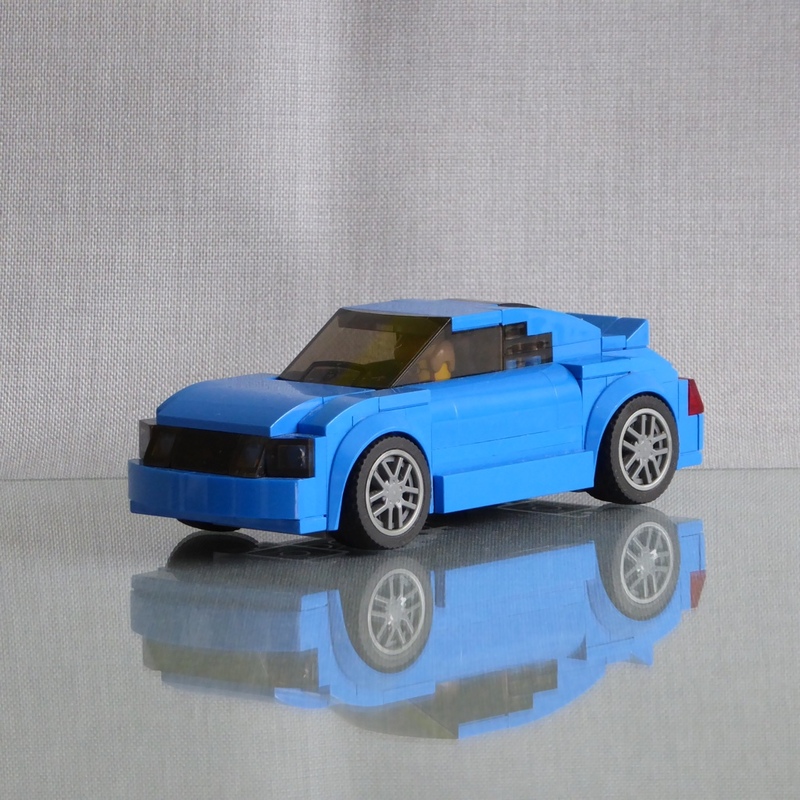 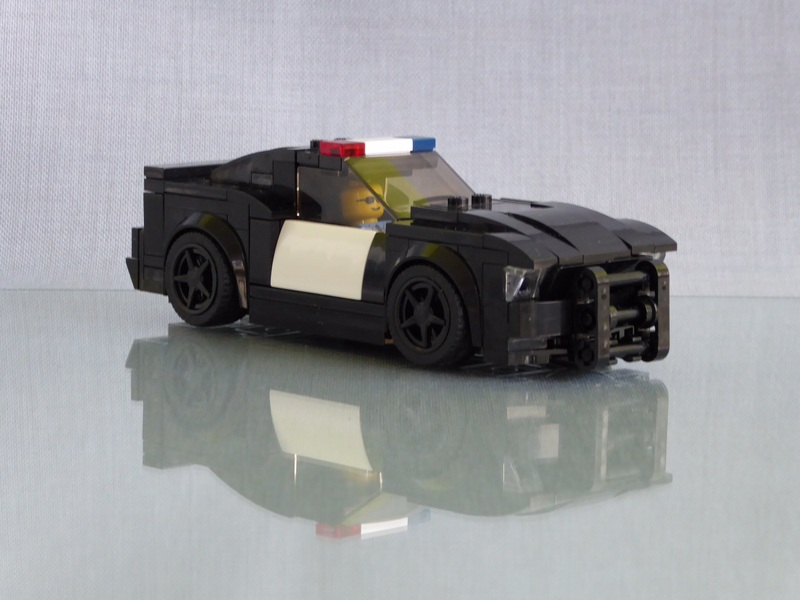 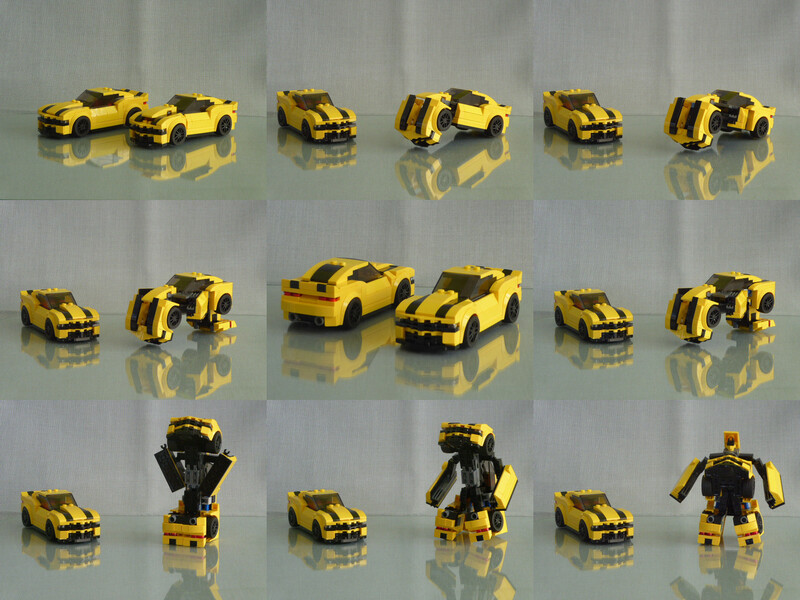 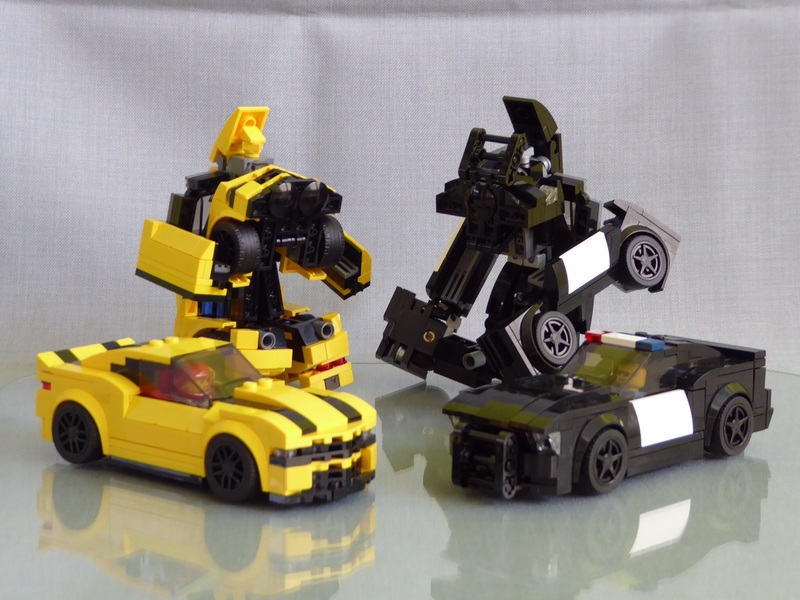 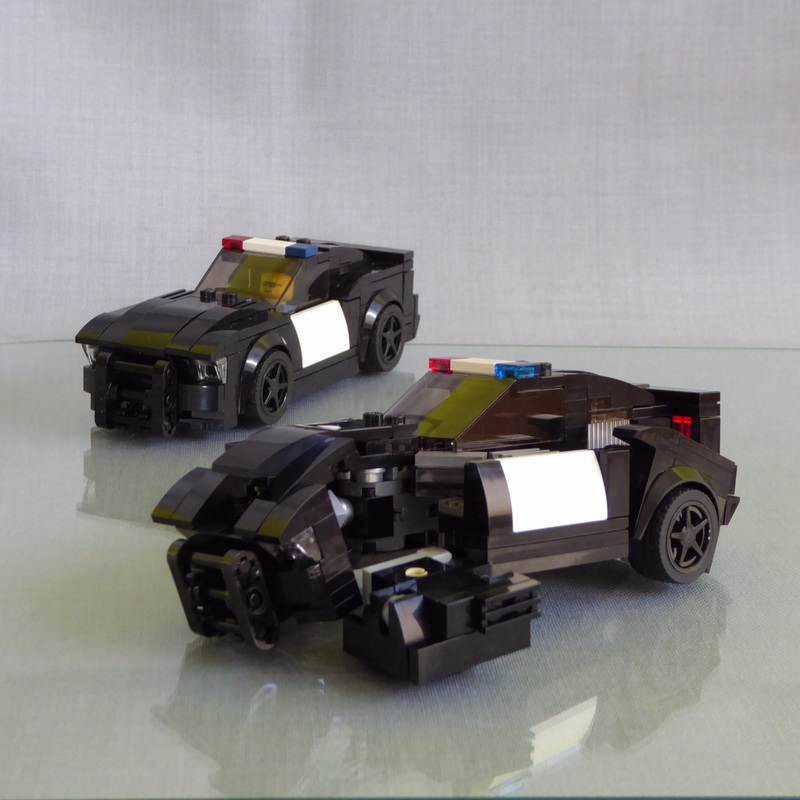 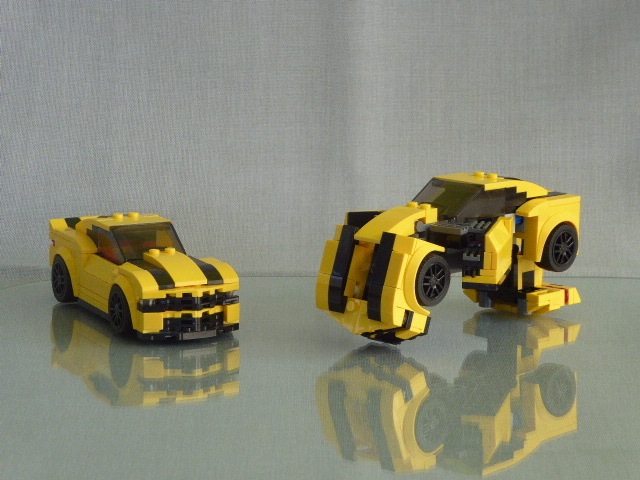 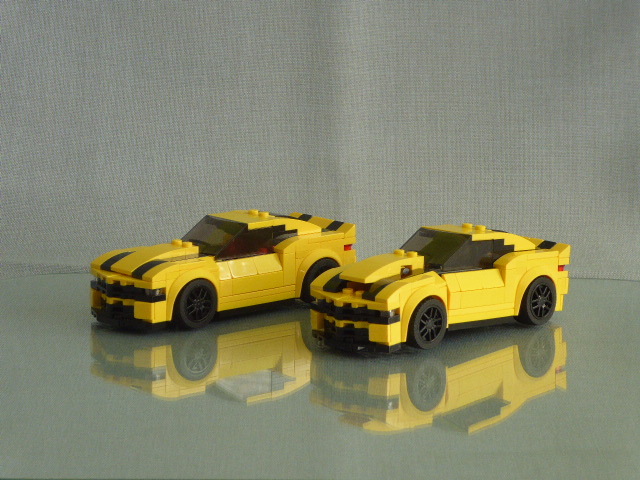 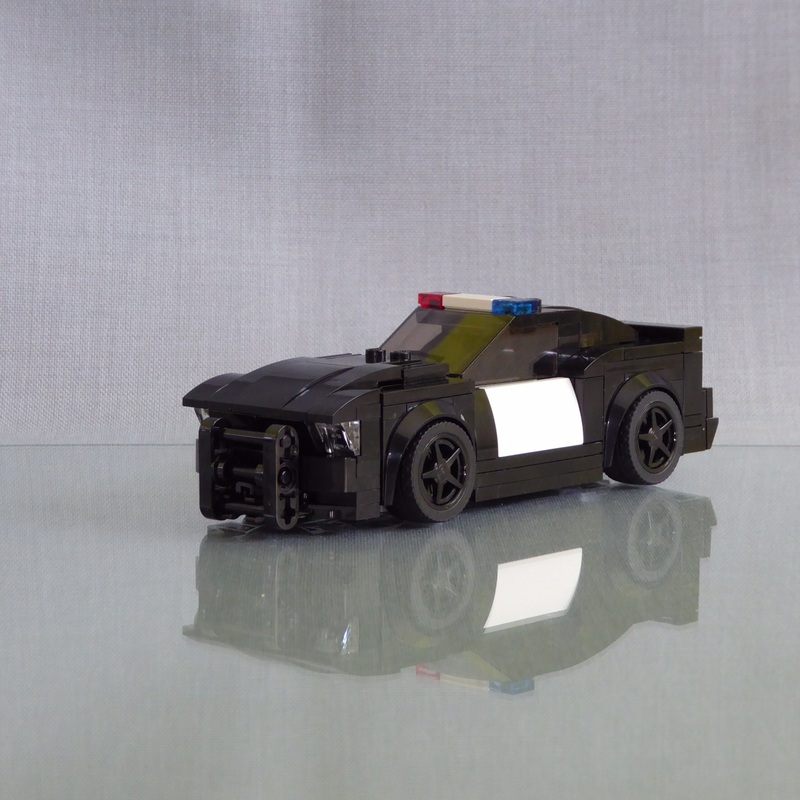 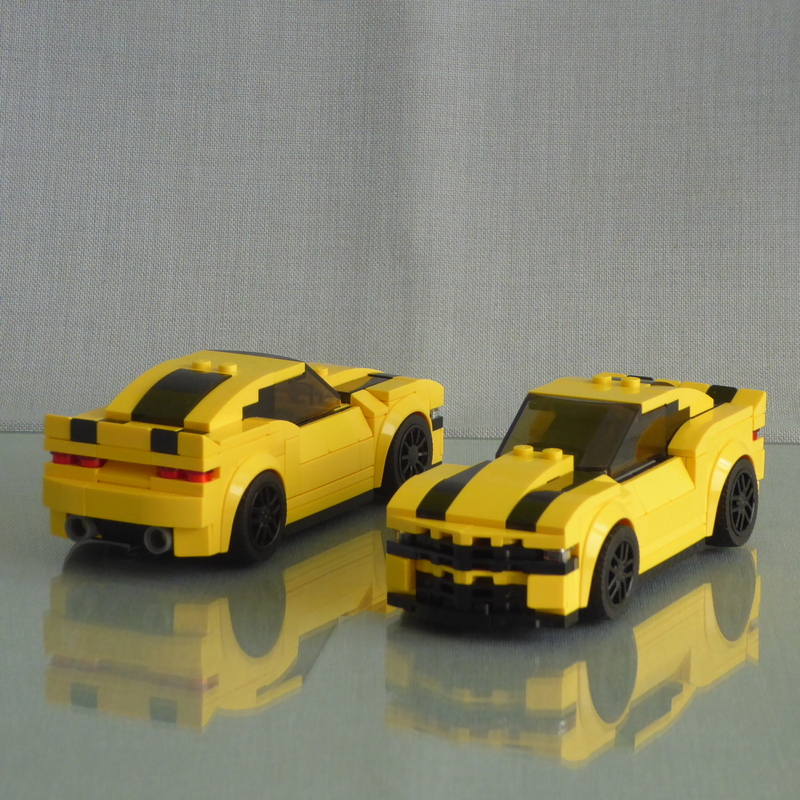 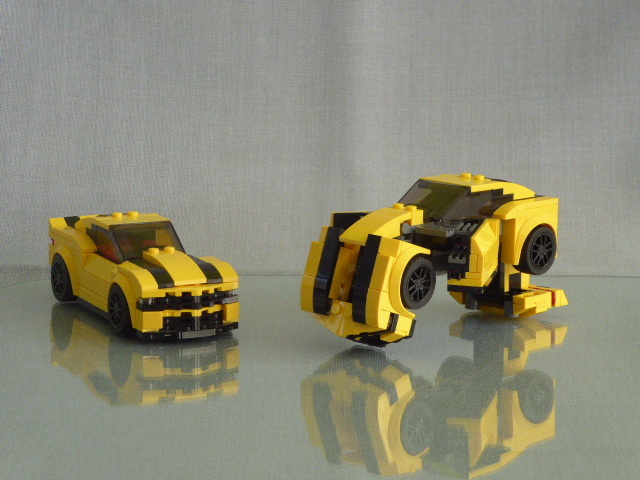 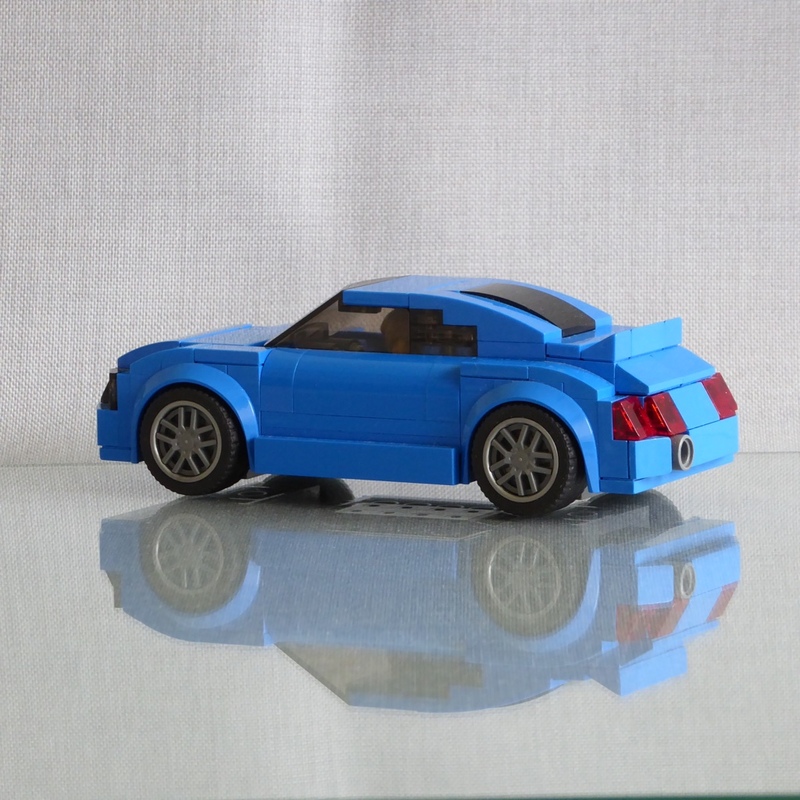 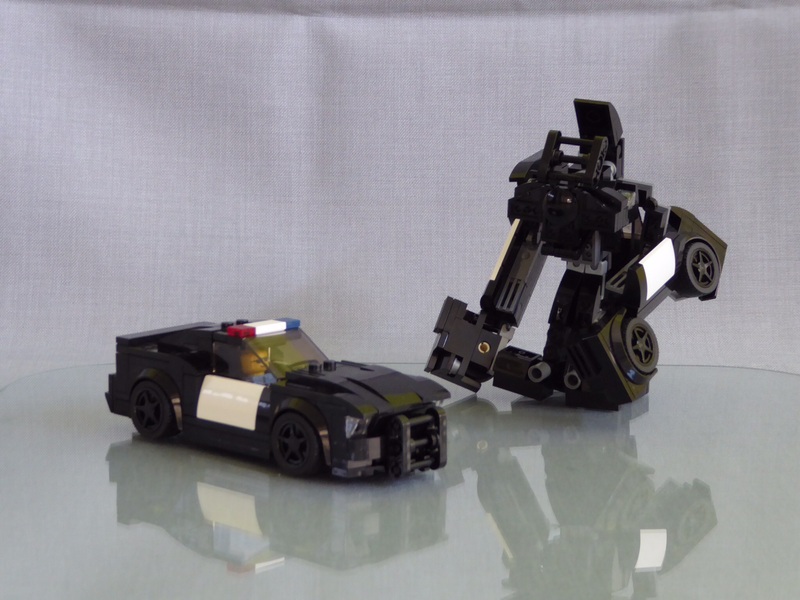 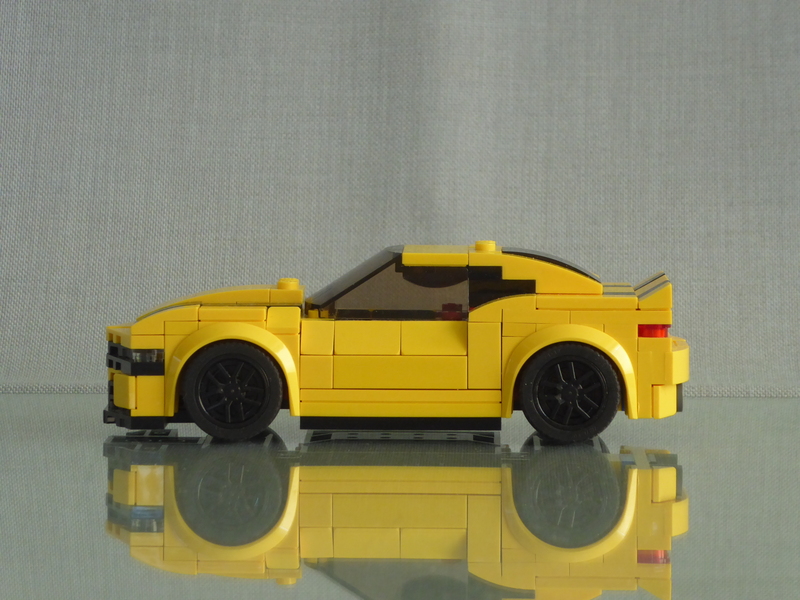 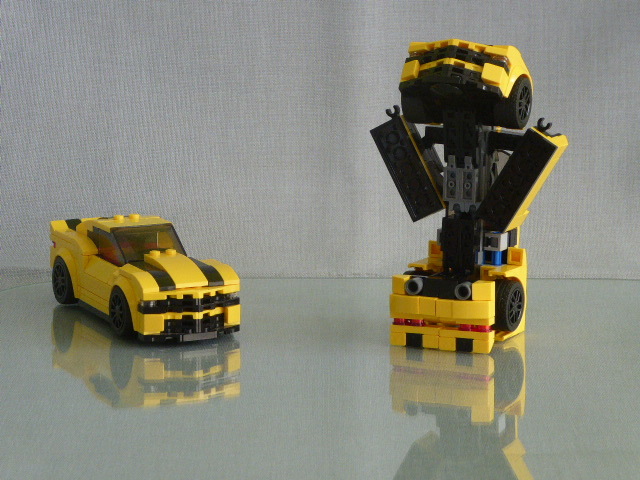 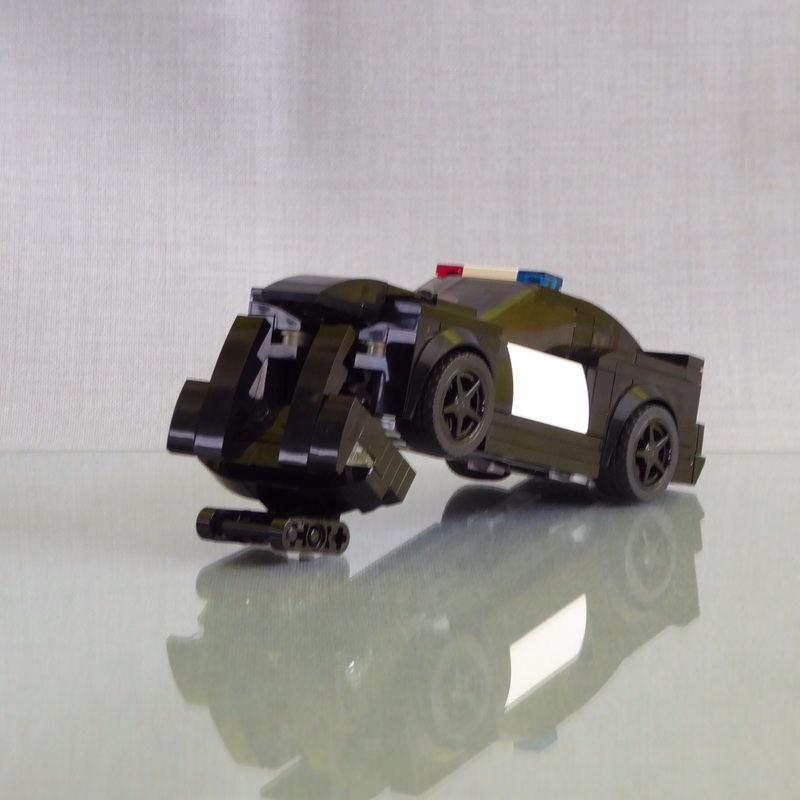 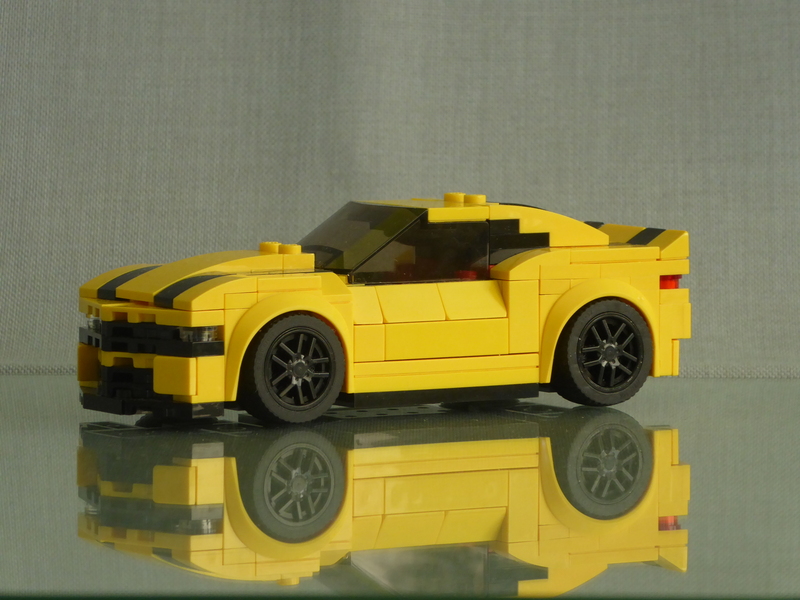 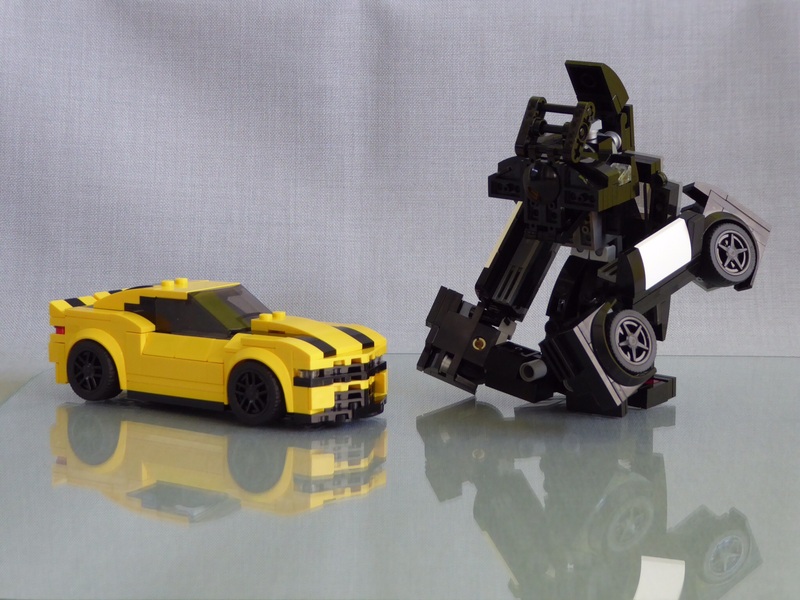 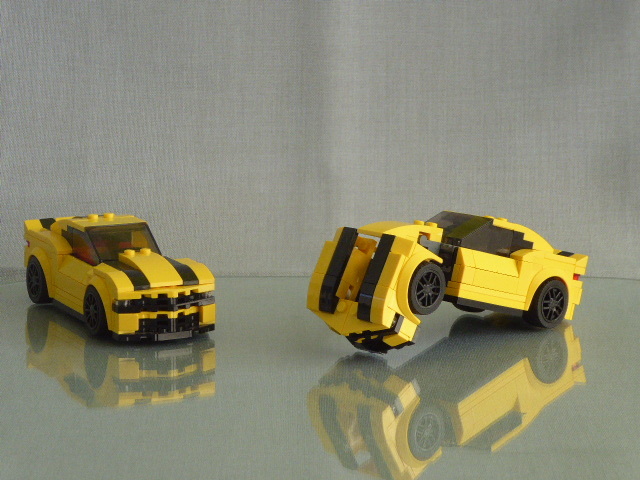 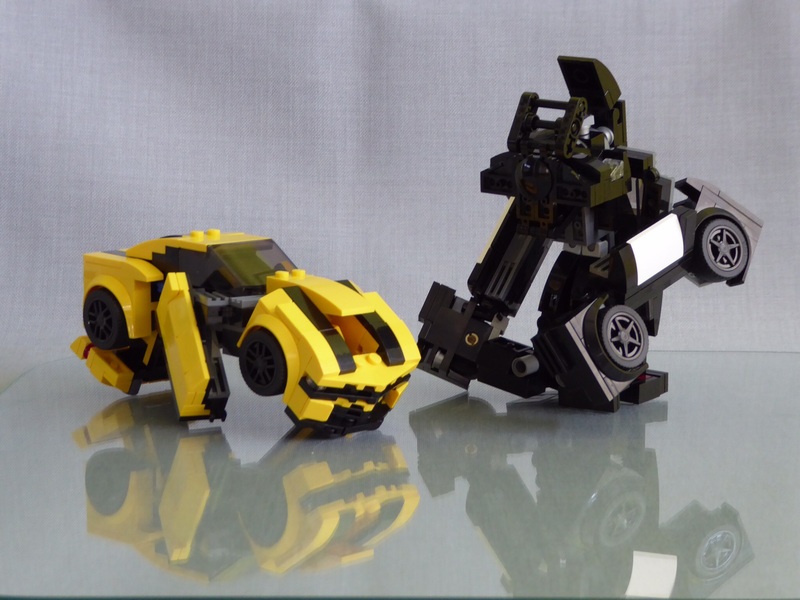 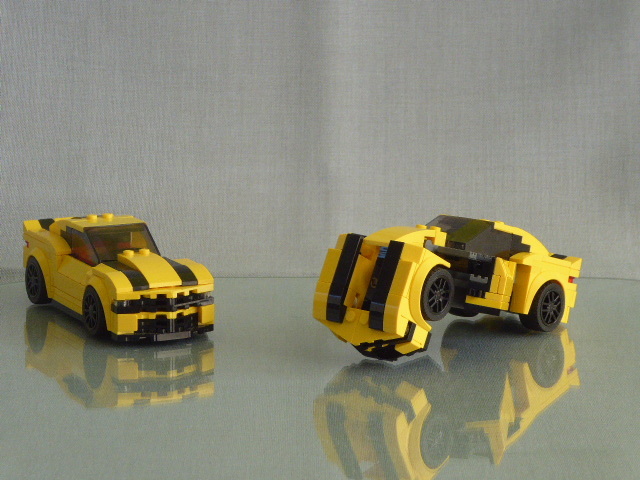 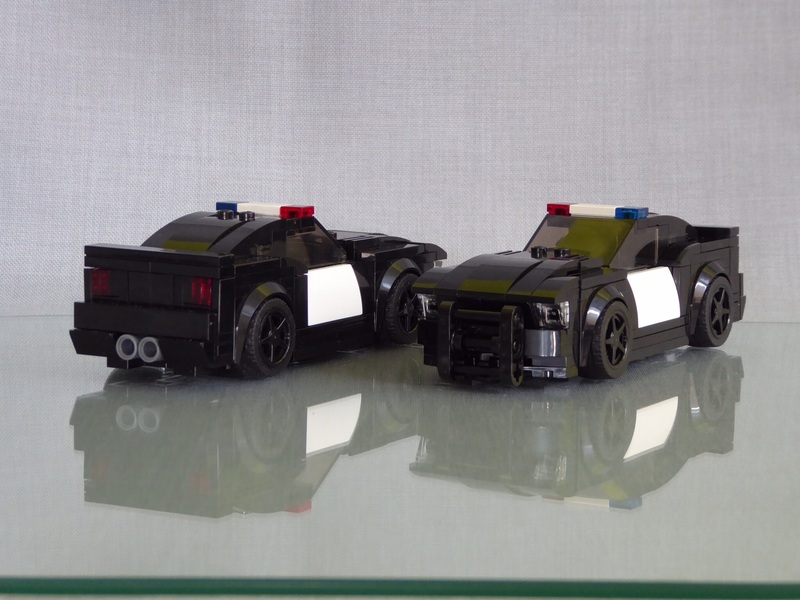 So I bought a set of the 75871 Ford Mustang and modified the design of the R8 until it looked like a TT. 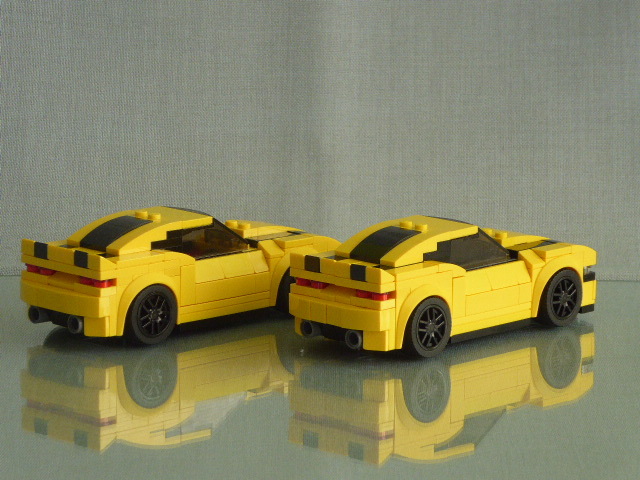 Only one exhaust pipe for the FWD version (the quattro models have two).